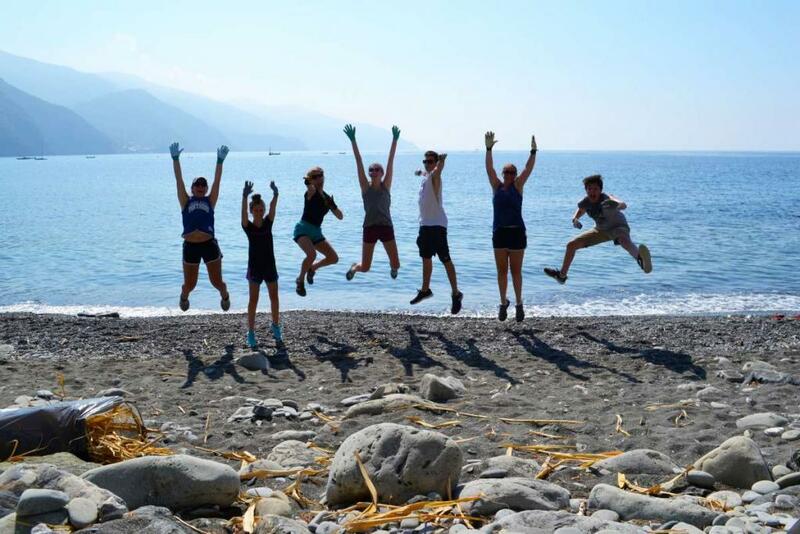 Join us on this teen travel adventure through Italy, diving into the best Italy has to offer, while giving back to the local community! 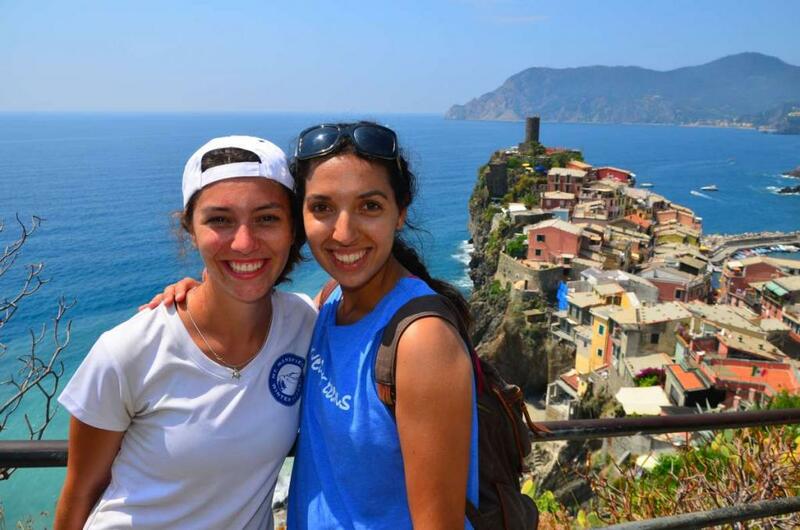 Our first stop is the Cinque Terre, where we will join the complete our service project. Marvel at the picture-perfect coast of the Italian Riviera, with its five pastel-painted fishing towns nestled into the cliffside. A longstanding relationship between Travel For Teens and the local community of Monterosso allows our participants to work on meaningful service projects every year! We will work at a Capuchin monastery with the monks to help rebuild historic walls, work to restore the hiking trails that have been damaged and closed to the public, and help improve the facilities at the local schools. As if giving back weren’t rewarding enough, you’ll enjoy stunning Mediterranean vistas every day! After our time spent in the Cinque Terre, we’ll stop at a private Tuscan estate for a cooking lesson and winery tour (optional) and head to Rome to uncover what the Eternal City has to offer! 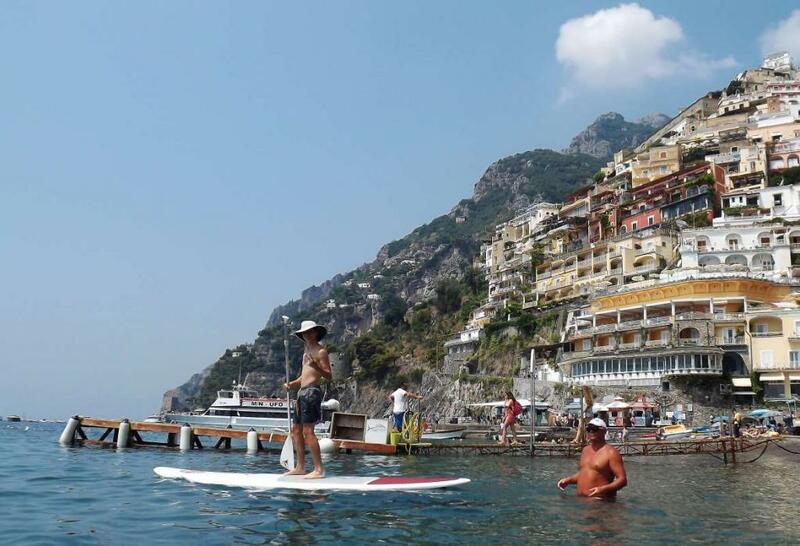 Then we’ll spend the last few days of this program soaking up the sun in southern Italy’s hottest destination, the Amalfi Coast. 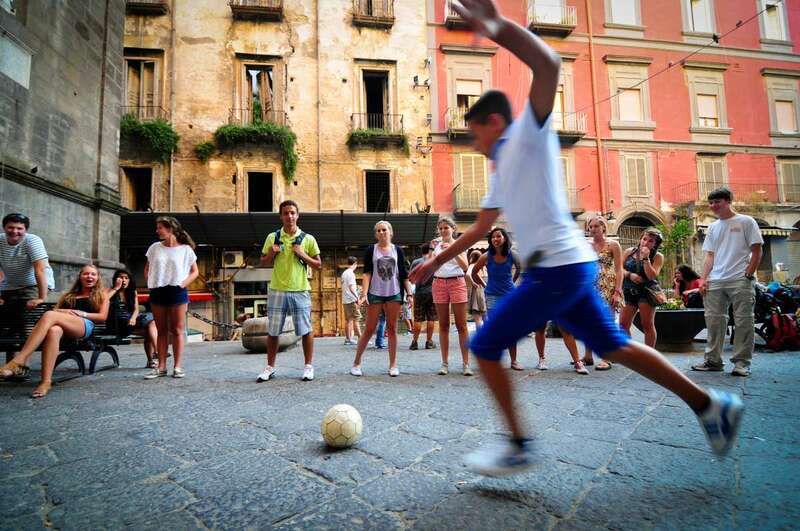 The time is now to discover the best any summer program to Italy has to offer! Welcome to the Cinque Terre, one of Italy’s hidden gems! Often referred to as the Italian Riviera, this region is home to five idyllic fishing villages with pastel colored houses perched on dramatic cliffs that plunge into the crystal-blue waters of the Mediterranean Sea. We stay right in the center of one of the villages (Monterosso) just steps from the beach! Here we have established strong relationships with the locals from our annual service projects, and you will be welcomed with opened arms and treated like family during your stay here. Interact with the locals and give back to this loving community with our meaningful community service, all while enjoying the breathtaking views of this wonderful region. We will be working directly with the town hall to maximize our efforts where they are needed most. One project includes heading up to the monastery to help rebuild historic walls there and clean up the surrounding area. Be rewarded for your hard work with a homemade spaghetti lunch prepared by the monks made with fresh tomatoes and herbs from their garden! We’ll also go to a local school and work to help improve the facilities. 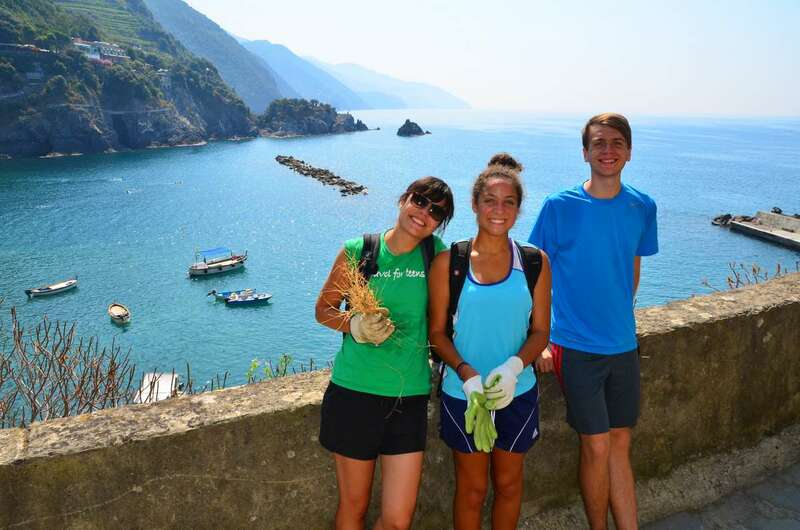 Lastly, we’ll work to beautify and maintain the network of hiking trails that traverse the Cinque Terre National Park. 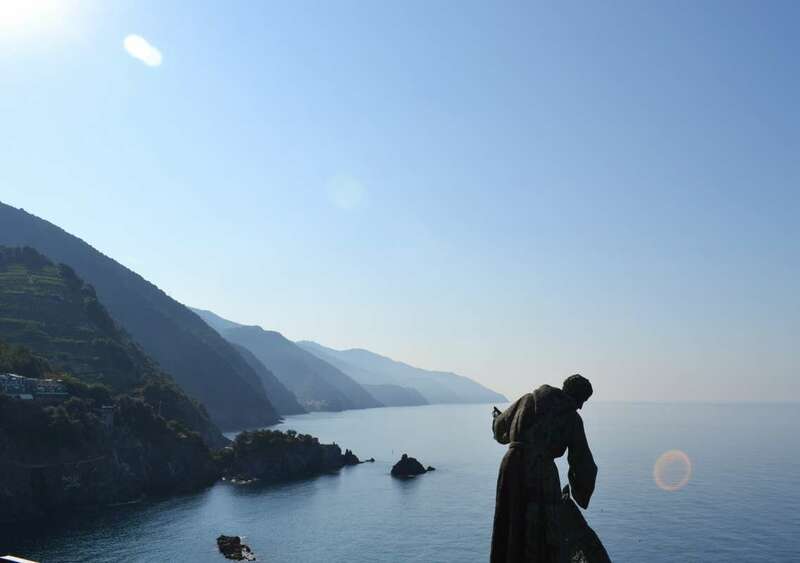 We’ll be working with the office of the National Park of the Cinque Terre, performing safe and supervised work that is nonetheless involved and valuable to the inhabitants of this region as well as the larger global community. We’ll spend a day trekking along the beautiful trail that connects these five villages, where you’ll experience views and vistas the likes of which you’ve never encountered! Over the course of this day, we’ll get to know the distinct layout and character of each of the towns, sampling local pizza, focaccia, and other amazing treats as we go. End the day with a dip in the clear blue waters of the Mediterranean and relaxing on the beach – a wonderful reward for all of our efforts! Our time here will end with a special ceremony at the Town Hall, where our participants will be honored for everything they have done to better the Cinque Terre. After our time in the Cinque Terre we will stop in the town of Montalcino. We’ll stroll the quaint cobblestoned streets of the hill town of Montalcino. Visit its beautiful medieval church and cathedral and check out the grand fortress before heading to the nearby town of San Quirico d’Orcia for some breathtaking views of this famous region. For those who choose, there will be an optional excursion to a private vineyard just outside the town of Montalcino to experience the stunning Tuscan countryside in real Italian fashion. This day is a TFT favorite! 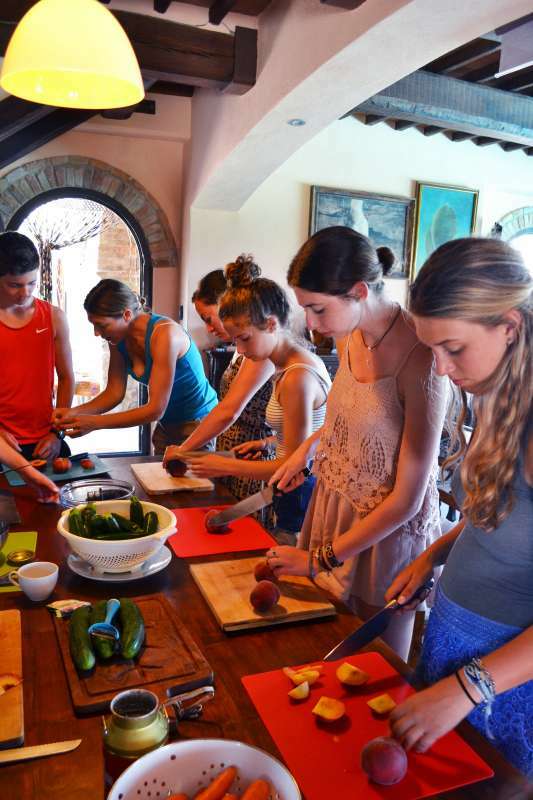 We have an exclusive invitation to a family’s private Tuscan Estate where we will receive a hands-on tasty Italian cooking lesson using freshly harvested vegetables straight from their garden! Enjoy a special tour of the winery where they produce award-winning wine and receive an introduction to this important part of Italian culture. Home sweet Rome! 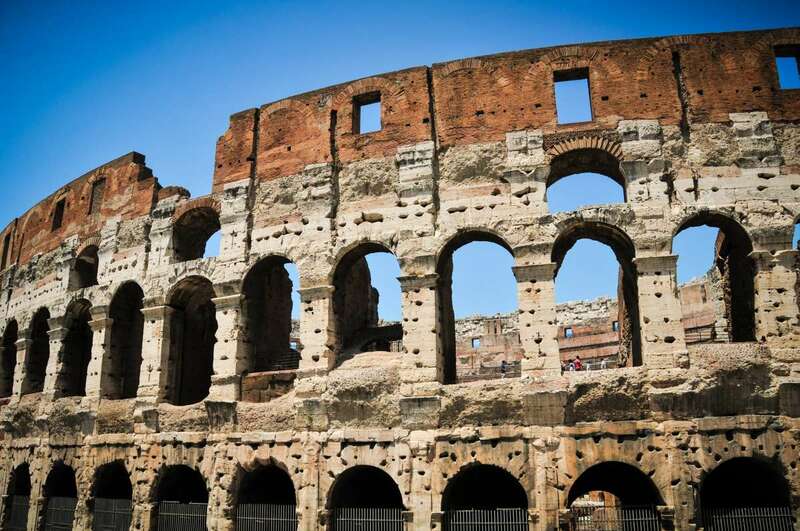 We’ll arrive in the Eternal City where a long and mighty history awaits us. As the city streets buzz with antiquity around every corner, you’ll be in awe as we transport ourselves thousands of years back in time while exploring the most important monuments and structures from ancient Rome. At the Colosseum we’ll try to imagine the bloody spectacle of gladiator competition. In the Roman Forum, which once housed the ancient city’s bustling center and main marketplace, we’ll marvel at the well preserved ruins. There’s no better way to complete our journey learning about the Roman Empire than with a view of the city from atop the Palatine Hill- the very place where it all began. We’ll then fast-forward to the Renaissance, crossing the Tiber to Vatican City and marvel at the massive basilica dedicated to St. Peter. We’ll lose ourselves in the Vatican’s extensive collection of artistic masterpieces from the ancient world to the present day, culminating with a look at Michelangelo’s elaborate ceiling frescos in the Sistine Chapel. We’ll stroll down the Tiber and venture slightly off the beaten path to Trastevere, one of Rome’s hippest neighborhoods, to see the local Romans in action and indulge in some of the best food in the city, including fresh homemade pastas and pizza “al taglio.” We’ll shop on the famous Via del Corso, toss a coin over our shoulders into the Trevi Fountain, and hang out on the Spanish Steps enjoying a classic Roman night of relaxing in the summer air of a beautiful piazza. Next, we’ll escape the big city and head to Sorrento, a dreamy seaside town on the Bay of Naples that will be our home base as we explore this rich region. Enjoy our glamorous accommodation with a rooftop terrace and stunning views of sunny Sorrento. 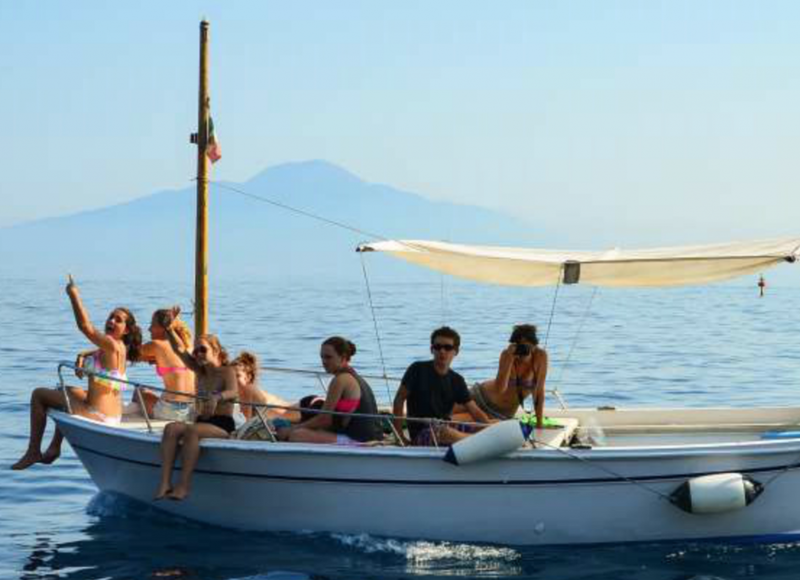 We’ll wake up in the morning and hop on a private boat to discover the enchanting Amalfi Coast. It’ll be love at first sight with the sun shining above, blue sea below, and unbelievable views in front of us as we sail down the Mediterranean marveling at the pastel-painted towns nestled into the coast. 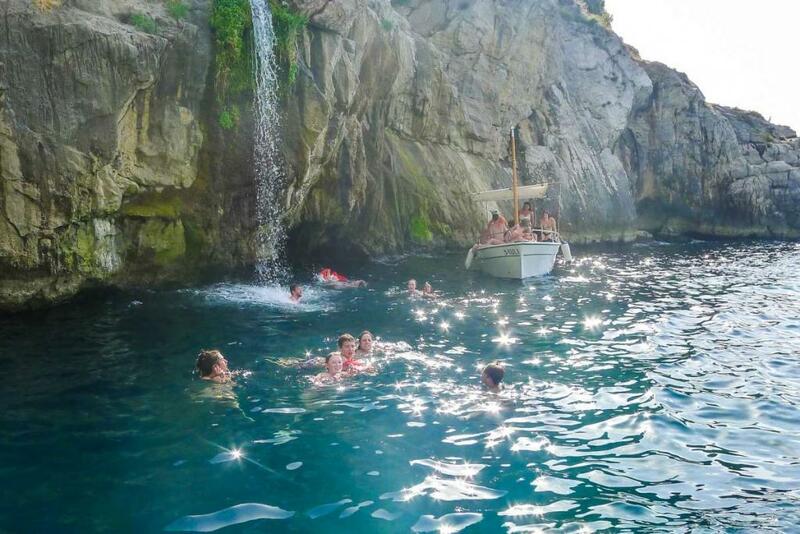 With stops along the way, you’ll have a chance to jump into the crystal clear water and swim among cascading waterfalls and in several secluded bays. When we arrive in Positano, you’ll think you’ve been transported into a postcard as you gaze at the quaint hillside town perched up above. The view from the water is spectacular! Hop off the boat to explore this picturesque coastal gem and wander the narrow streets surrounded by multicolored buildings, blooming flowers, and sweet-smelling lemons. Visit the iconic church of Santa Maria Assunta with its ornate dome covered entirely in tiles. Enjoy the best shopping in the chic stores that line the streets, from handmade shoes and clothes to an abundance of lemon-themed products. Then relax for the afternoon on the famous black sand beach and take it all in. Visit Pompeii, a thriving ancient Roman port towns that was frozen in time when it was buried under a deep layer of ash and pumice during the eruption of Mt. Vesuvius in 79 AD. Step back in time and you explore this town and learn about the daily life there before the volcanic devastation. Our expert guide will recount the historic tales of these cities that will paint a picture of what life was like in these lavish societies before the volcano erupted! Then hop on the train for a picturesque ride along the “circumvesuviana” line, a train that goes to Naples following a track around Mt. Vesuvius. What better way to spend your day than in the very place that pizza was invented? 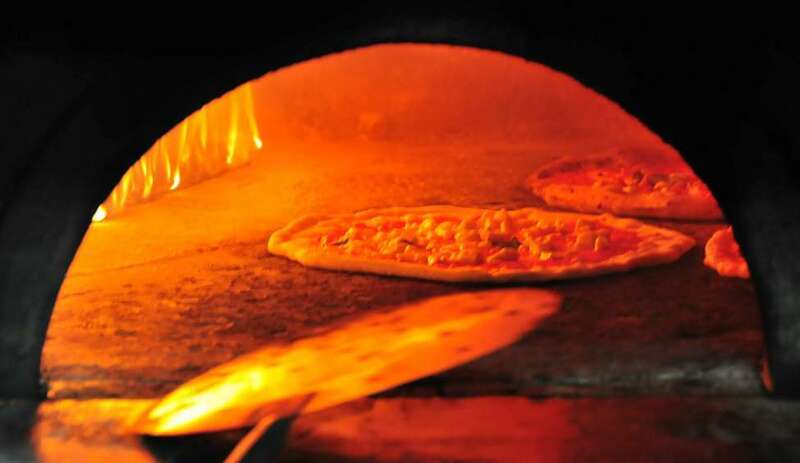 Indulge in the best in the world, served steaming hot straight out of a wood-fired oven. 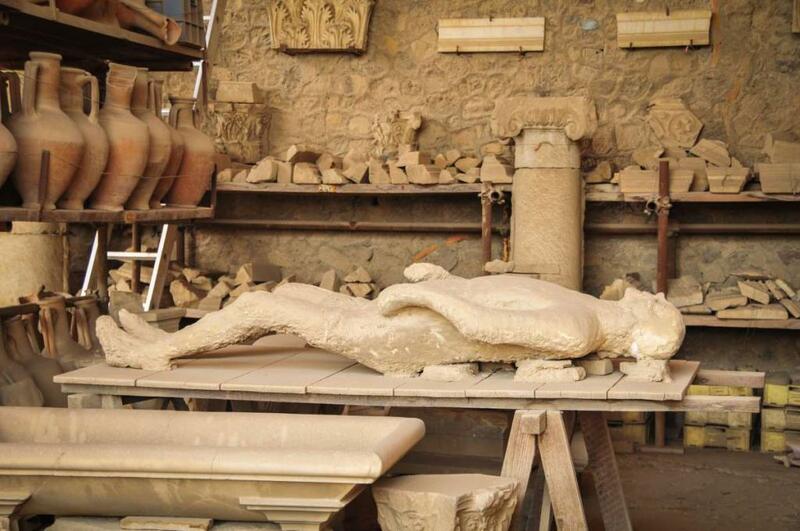 Here in Naples, we will have the choice of following up our tour of Pompeii at the National Archeological Museum, the richest collection of archeological artifacts in Italy, or go back in time and navigate the maze of tunnels under the city that were used as anything from Roman aqueducts to air-raid shelters throughout history. We will also have a chance to hit some of the shops and wander around the fascinating and folkloristic streets of Naples! Spend your final day just off the coast exploring the exclusive island of Capri. You can go shopping in the ultra-chic boutiques, take a hike around the craggy coast of the island, and enjoy a scenic chairlift ride up to Mt. Solaro, the island’s highest point for breathtaking views and incredible photo opportunities! In the Cinque Terre we are in a modern and beautiful hotel in the center of the town Monterosso, just steps from a private beach. In Rome we stay at an hotel near the central Piazza Santa Maria Maggiore, close to the city center and the main train station. In Sorrento, we’ll stay at a gorgeous hotel with a rooftop terrace and stunning views of this dreamy seaside town on the Bay of Naples. What do students generally like most about this program? 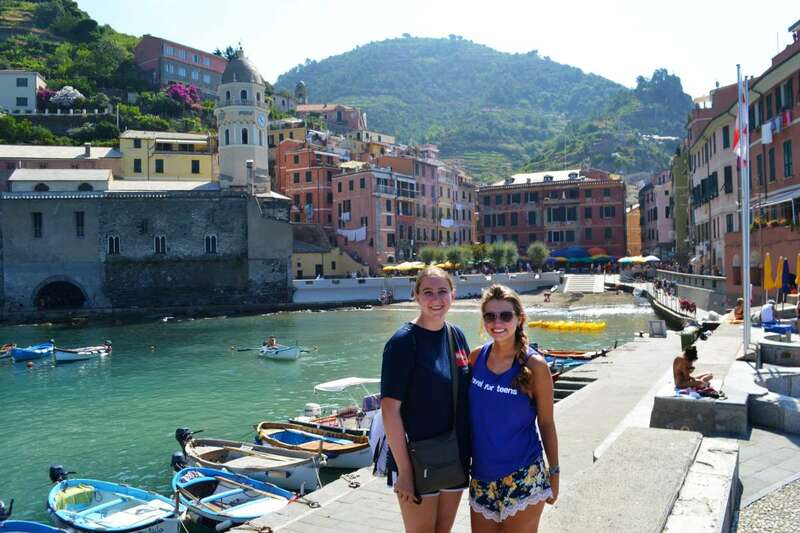 Students love that they are able to fully immerse themselves in the culture by connecting with Italian locals on a deeper level during their service project. Performing service work along the coast with stunning views doesn’t hurt either! The Cinque Terre portion of this program is especially unique, as our groups are ingrained fully in the community given TFT’s connections in Monterosso. Our longstanding relationship with the locals here offer a unique introduction to one of Italy’s most charming villages. 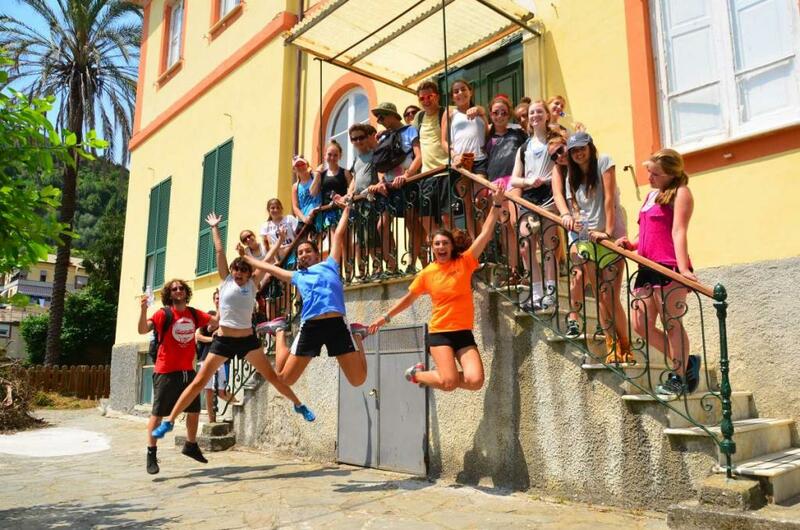 Students experience what small town Italy is like and are treated like family. 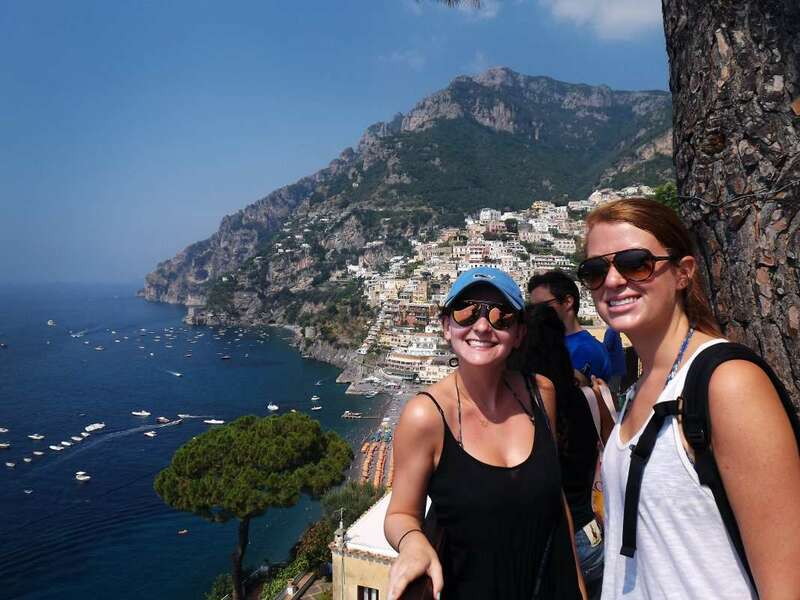 In addition, this program provides unique insider access to all of the destinations, from hands-on learning at a pesto cooking class to an exclusive invitation to a Tuscan villa and winery tour and private boat tours down the Amalfi Coast. Italian food is all about fresh, simple ingredients. We’ll sample the best of the “three Ps”- pizza, pasta, and panini! Indulging in these Italian specialties for the first time is a life-changing experience, and we will be there to document every minute of it as you fall in love with the fresh mozzarella, warm Italian bread, mouth-watering prosciutto, and homemade pasta. Don’t forget about gelato! After your trip to Italy, no dessert will ever be the same. Summer in Italy is known for its sunshine, which makes beach days beautiful, but working a bit more tiring. Please be sure to bring a water bottle and hat for our service days, as well as clothes that you don’t mind getting dirty. "This trip to Italy was such an amazing time. 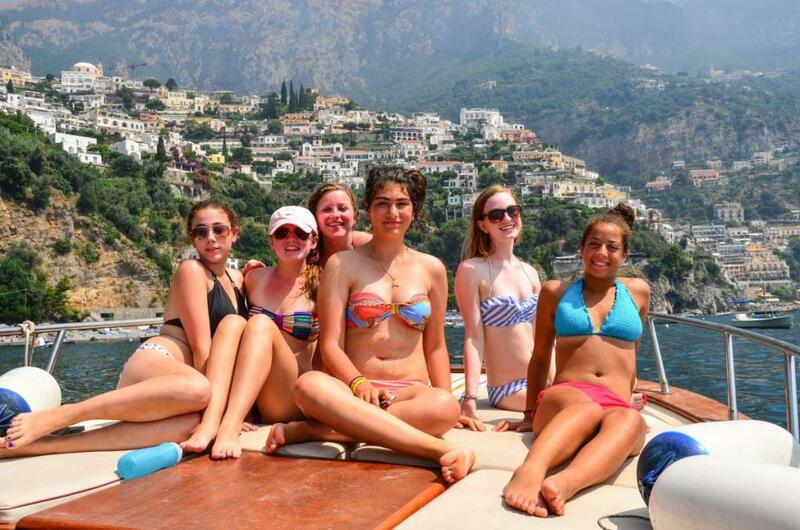 From swimming in the Mediterranean Ocean for the first time, to eating true Italian cuisine, this was such a great trip. I saw and experienced a whole different culture from mine. Modes of transportation, housing and the food were all different from what I was used to. I got to see the magnificent, old ruins of the ancient city Pompeii, and explore the cities of Positano, Amalfi, and Capri. I got to eat true Italian gelato and make and paint my own ceramics. I loved swimming in the water on the pebble beach looking at the volcano in the distant. I learned more skills on working with peers and in a group to figure out the best way to complete tasks and time management. Also, I met some really cool people! 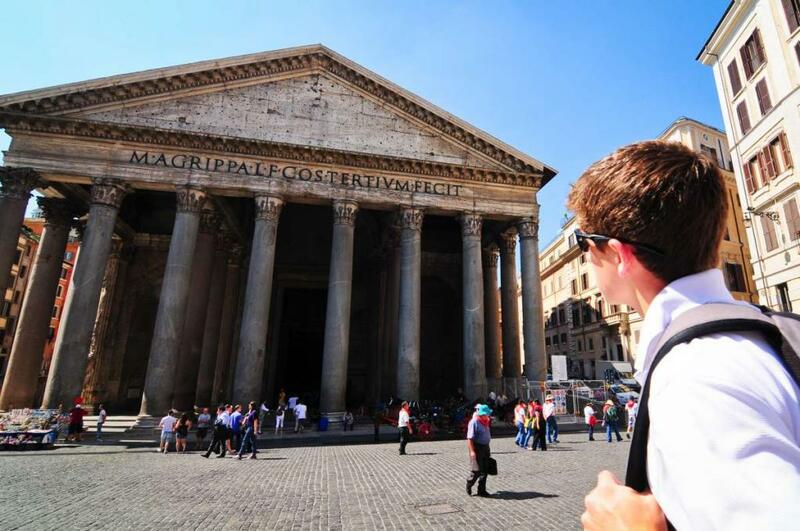 I cannot wait to go back to Italy again one day." 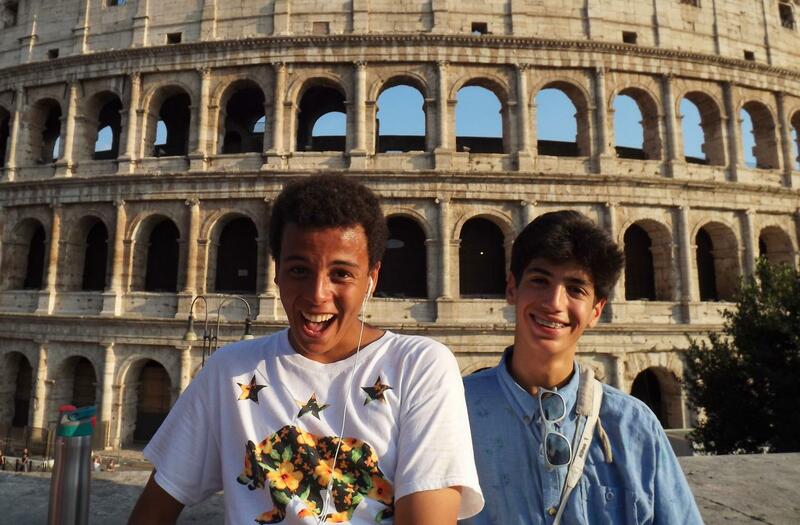 "This trip gave the opportunities to have the summer of my lifetime! 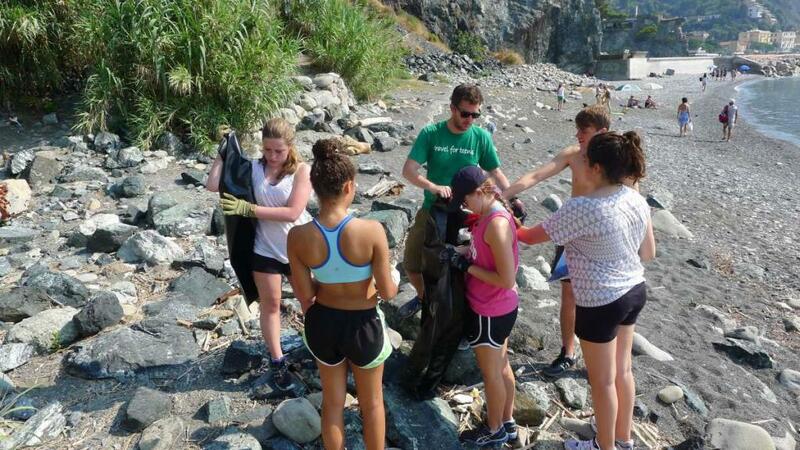 We started out with a week of community service in the gorgeous setting the Cinque Terre. During this week we amounted 20 hours of community service, but still had time to participate in different activities within the different towns. From there the group moved south- from Tuscany to Sorrento, even stopping in Rome for a few days. The itinerary was jammed packed with different planned activities for us to participate in, as well as built in free time for us to have the ability to explore the towns. The counselors were amazing on this trip, making sure that we were safe at all times, while still giving us time to explore on our own! They were pretty cool and it was super easy to talk to them about ANYTHING going on, if anything happened :)"
"During the Summer of 2018, I went on the Italy Service and Adventure trip with Travel for Teens. It was an absolutely incredible experience! This trip was both humbling and extremely fun. Our service consisted of helping maintain a garden in a Monastery and renovating an Italian elementary school’s playground. After a few days of service, we began the adventure part of the trip. We visited so many beautiful places in Italy including Monterosso al Mare, the Amalfi Coast, Rome, and Capri. Although some of these areas tend to be fairly commercialized, I never felt like just another tourist thanks to Travel for Teens and the way they run their programs. I highly recommend this trip for anyone, especially people who want to taste amazing, authentic Italian food!"